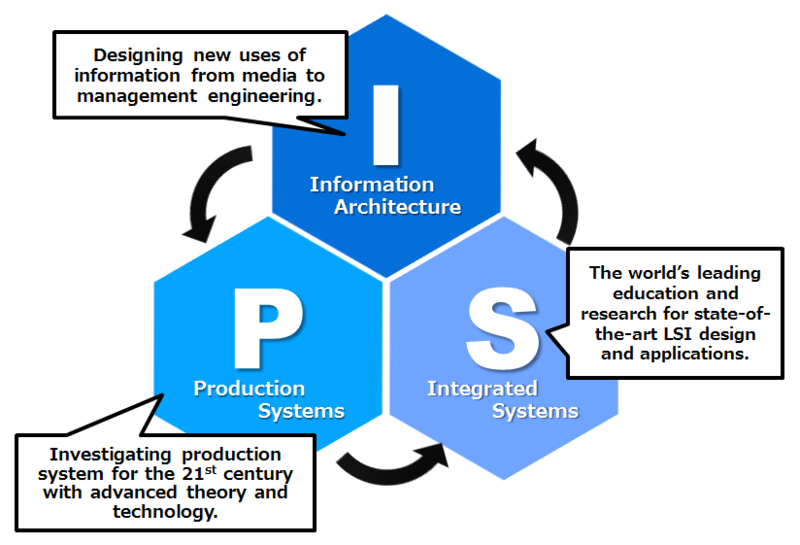 The Graduate School of Information, Production and Systems comprises three fields of study: Information Architecture, Production Systems, and Integrated Systems. Your postgraduate work will give you an integral view of these three fields, enabling you to acquire the most advanced professional knowledge as a foundation for applying information and system LSI technologies to a broad range of production systems and their management. We offer lectures that introduce state-of-the-art knowledge from a technology-management perspective of interest to the general public students. It is possible to choose from among various patterns for the taking and completion of classes. Here, the aim is a general one: to assist the student in becoming a technologically well-informed specialist. IPS is cross-disciplinary, giving you broad and interconnected coverage of both software and hardware across various areas of investigation. 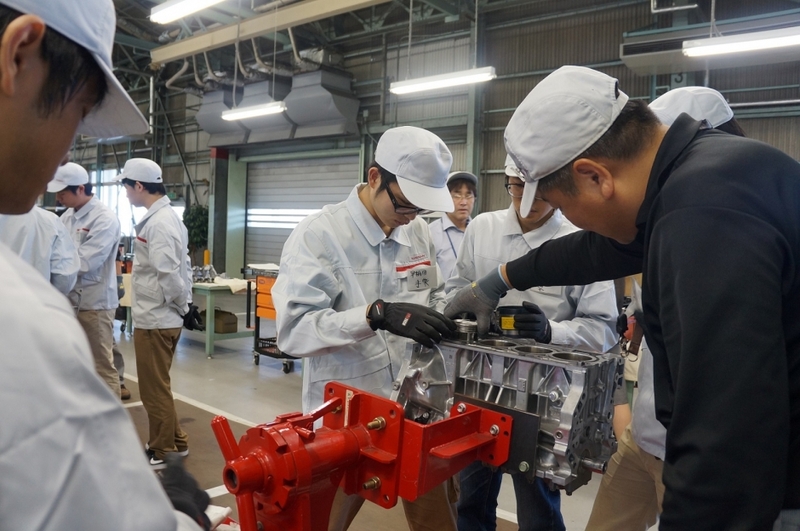 The new course program begins for those who enters in April 2020 and later. To complete a master’s program, you must be enrolled in the program for at least two years, earn the number of credits specified for the required courses, receive a passing evaluation for your master’s thesis, and pass a final examination. For the first six months of the program, you will have a provisional laboratory assignment. 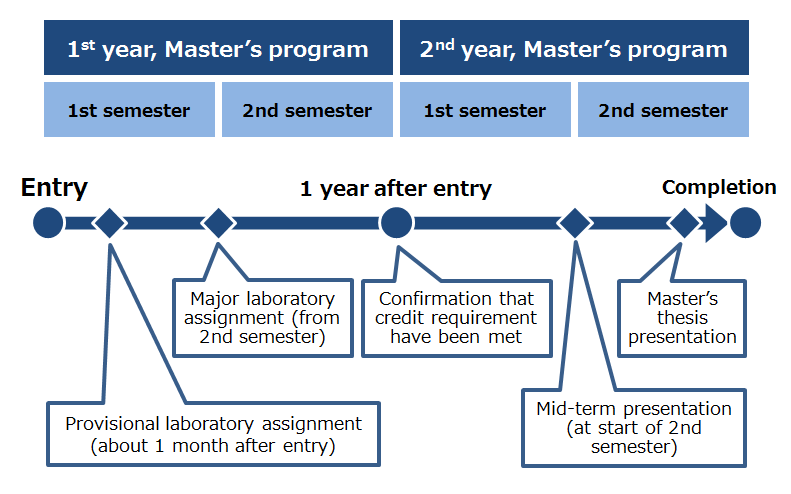 After six months you must apply for a permanent laboratory assignment, which you will have until you complete the program, by undergoing an interview with the laboratory’s supervisor. From that point you will begin writing your master’s thesis under the supervisor’s direction. You may apply for a different laboratory than your provisional laboratory assignment. If you take more than 4 credits worth of core courses, the additional credits will not be counted towards the credits required for completion. The credits in first column indicate the total number of credits required for the first year, and credits in the second column indicate the total number required for both years. The master’s degree program offers three courses. Students can choose any one of the three courses once they have fulfilled a certain credit requirement defined in each course as explained below. Research-oriented. Students obtain 18 required credits over a six month period and spend one and a half years primarily engaging in research for their master’s thesis if accepted into a laboratory through an interview with faculty. Balanced type. The first year is mainly dedicated to lectures and practical training. Students obtain 22 required credits, and spend one year primarily engaging in research for their master’s thesis if accepted into a laboratory through an interview with faculty. Lecture-oriented. Students concentrate on lectures and practical training for the first one and a half years to obtain 26 required credits. If accepted into a laboratory through an interview with faculty, they carry out an assigned research task over the remaining six months. Spring Semester, the spring semester for students entering in April and the fall semester for students entering in September Fall Semester, the fall semester for students entering in April and the spring semester for students entering in September.